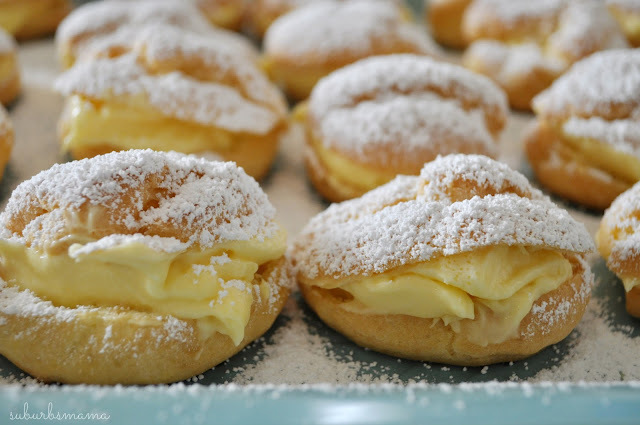 When I need a quick and delicious dessert, I usually make small things like cupcakes, bars or in this case these cream puffs! Transfer the dough to a stand mixer. Using a stand mixer, beat in the eggs one at a time, mixing well after each. Drop by tablespoonfuls onto an ungreased baking sheet. 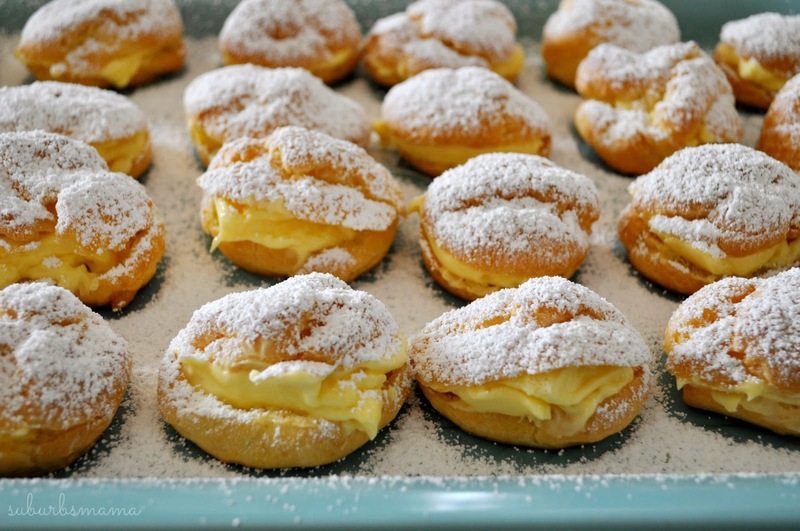 When the shells are cool, split and fill them with the pudding mixture and sprinkle with powdered sugar.